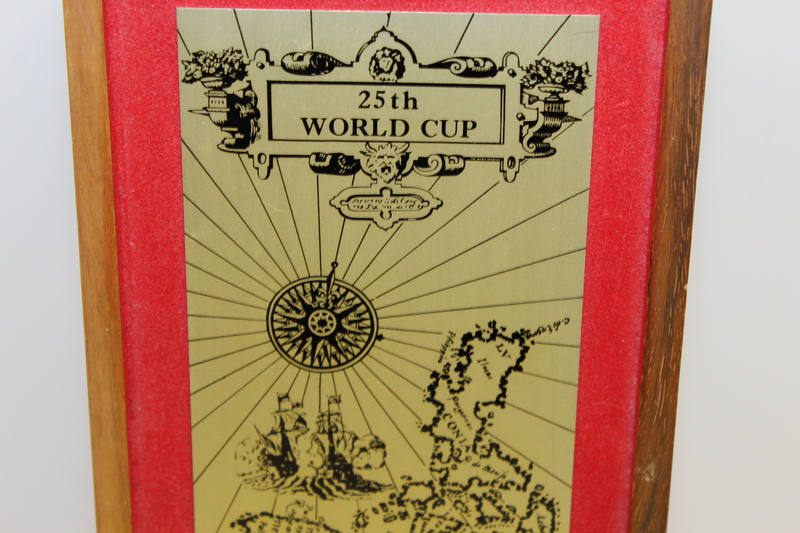 The 1977 World Cup of Golf was played in Manila, Philippines. Seven Ballesteros teamed up with Antonia Garrido to bring home the win for Spain. 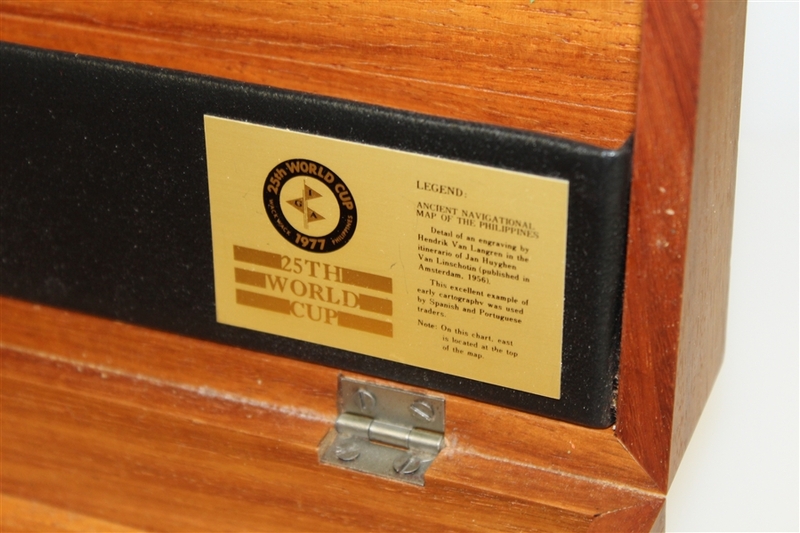 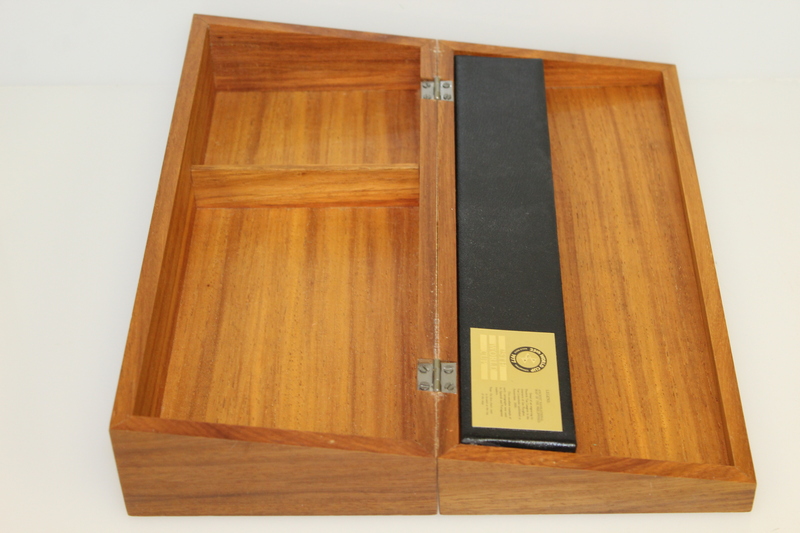 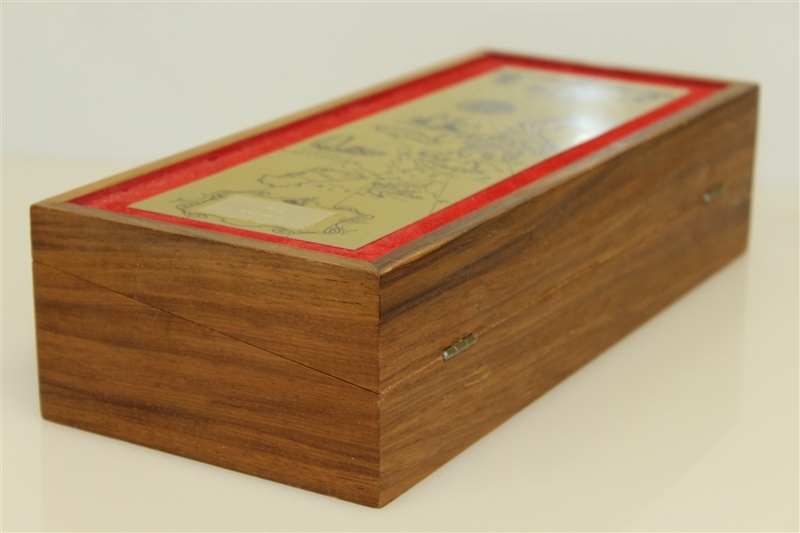 Offered here is a commemorative box from that tournament that was gifted to Bob Sommers. 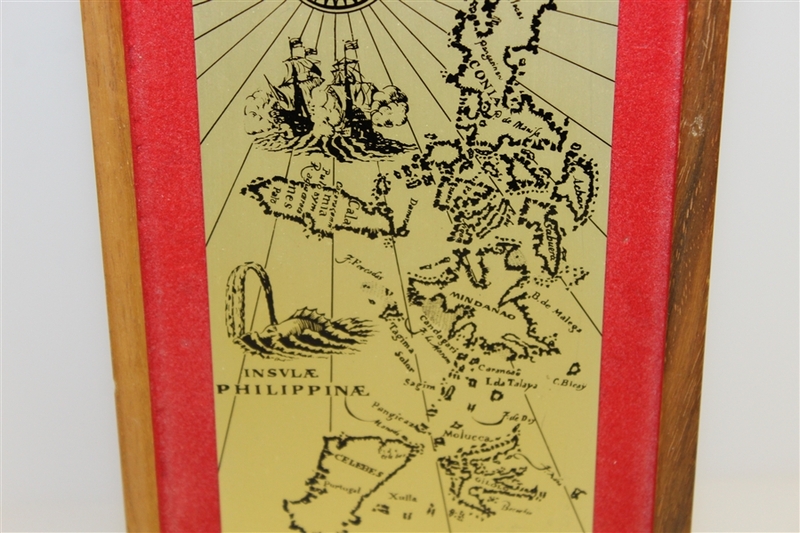 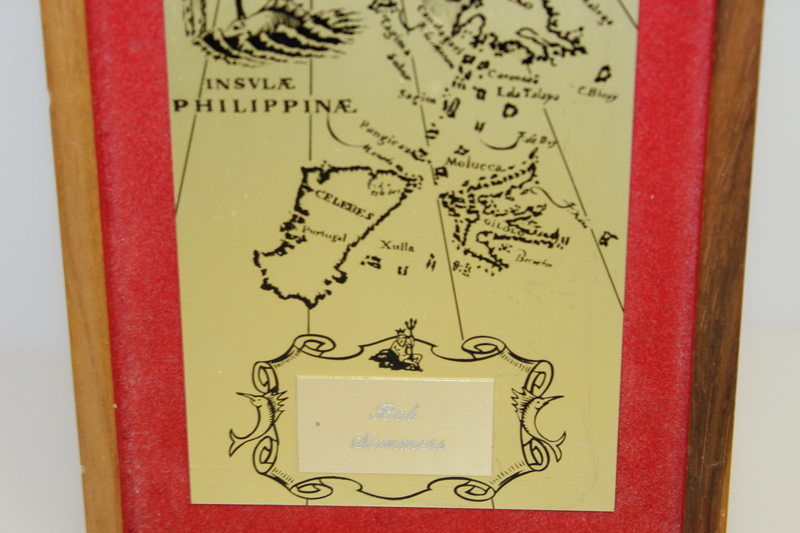 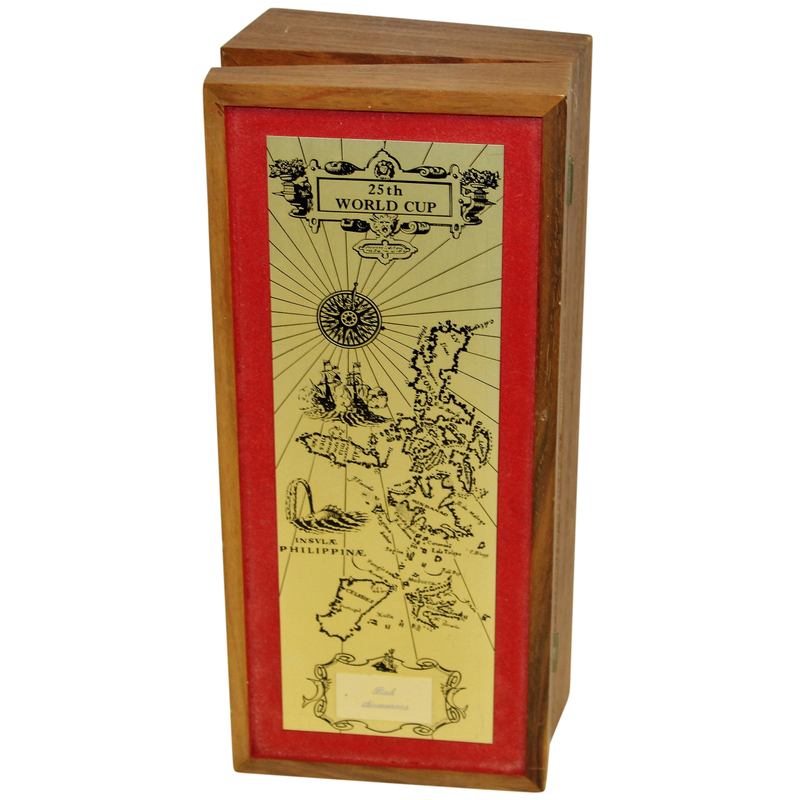 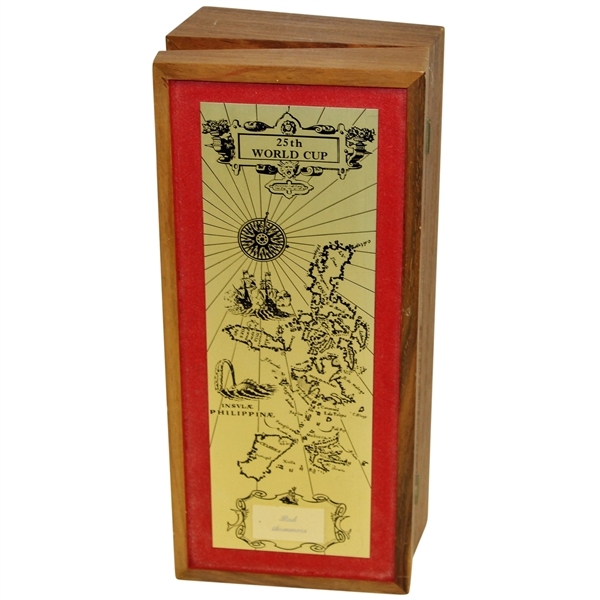 A map of the Philippines adorns the front of the box, as well as a Bob Sommers nameplate. 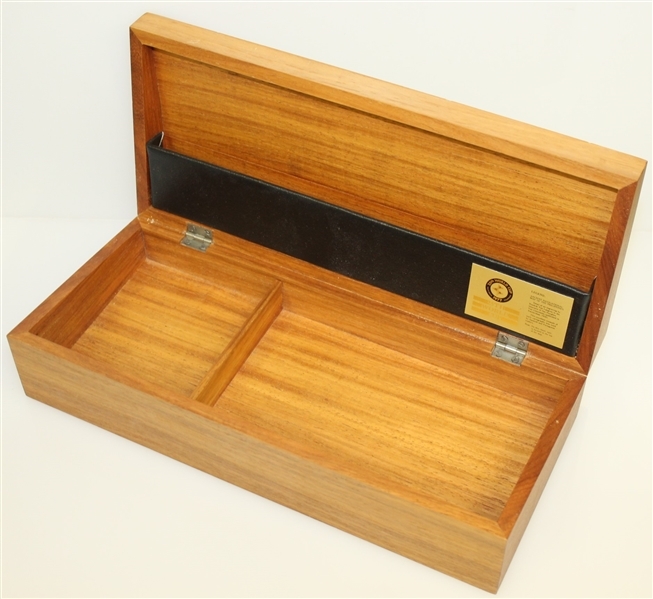 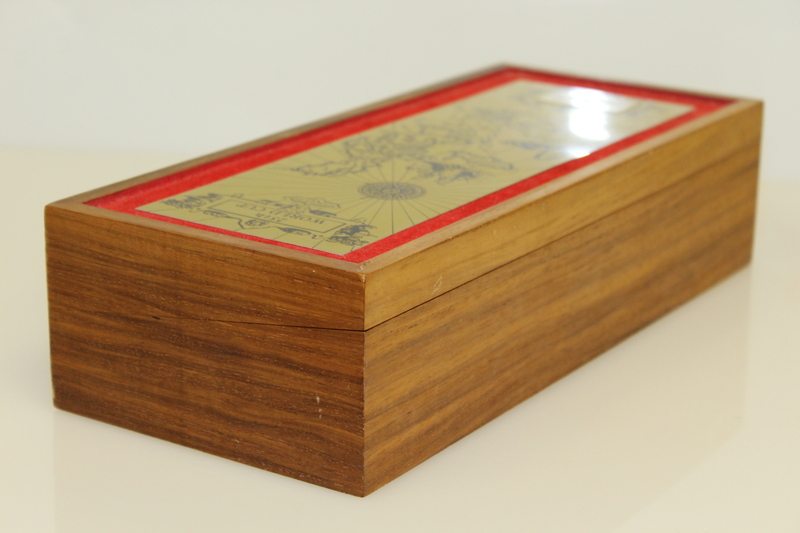 The box comes in good condition and measures 12 1/2" x 5 1/2" x 3".